at the Trendy Treehouse blog. She's got her own blog full of wonderful, amazing ideas as well. Read her incredible story and then check out the amazing giveaway! Years ago, I remember watching a video of an older woman, who lived alone in a farming/woodsy area, and didn't have any immediate neighbors. EVERYDAY, this woman waited for the mail to come, HOPING that someone (probably her children, or grandchildren) was thinking of her and would send a note to say so. That note never came. I remember vividly, the look on her face, day after day as it looked more and more sad and she felt more and more alone. I remember feeling so sad for her and thinking "why would it be so hard for someone to mail her a little card to say, "I love you, I'm thinking of you, or I miss you". "How unfortunate that this woman, who probably dedicated her life to her family, feels like no one cares." There was a time in high school, when I felt those same feelings. "No one cares....no one knows what I'm feeling or going through.....no one loves me....." It was a dark time in my life and as I look back, I think, all it would have taken to give me some "hope", is a small gesture of love. A smile or a hug. A little note, saying "you're worth a darn! ", or "I'm thinking of you, I'm here for you"....."you mean something to me". Jumping ahead..... I love to craft. I love creating with my hands and having a finished product that "I made." Something that I spent my precious time on, put my love and creative thinking into. And it's an even better feeling to be able to give it away to someone. Homemade gifts say so much more than anything you could buy. They say "I took time to make this for you. I put my heart into it, and now I want you to have it.....a part of me." You don't ever have to have a "reason" to mail someone a card....caring about them is enough. I, personally get so excited when I see a handwritten envelope addressed to me, amidst ALL the junk and bills in the mail box. I LOVE getting mail. Knowing that someone took the time to pick out a card, sat down and wrote me some of their feelings, and just THOUGHT enough of ME to do it, makes me feel so happy and LOVED. And couldn't the world use more LOVE???? Now for the amazing giveaway!!! and a cute hair flower/brooch, for good measure! What a generous and thoughtful gift! So there will be two winners!! Wish I could be one of them!! who you would send your first card to. 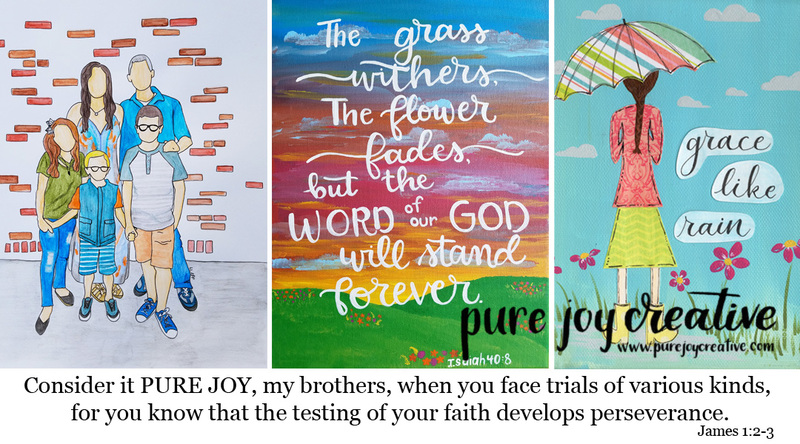 1)Follow Pure Joy (1 entry) through google friend connect. 2) Follow the MBellished You Blog (1 entry) through google friend connect. Please leave your email address so I can contact you if you win! I follow MBellished You via GFC! I love cards, and I love writing letters, I don't do it as often as I would like with the 3 boys running around. So I would love to get these so I would make the time since they look so sweet you have to use them. I would write my God Mother! I never remember to write her unless it's Christmas, so this would be a good reason to write her. She always calls my mom and says she awaits the card every Christmas. I followed on GFC or least I hoped it worked :) I'm the one with no picture :) the cards are so cute Hope I win some. I'd love to win this because I need to start sending "real" mail to people! I'd send my first to my bff Erika...she moved away and I haven't written her in quite some time (bad me)! I would love to have these because they are beautiful and so much nicer to send than store bought cards! I would love to send one to my mom because she always sends us the nicest homemade cards! The frist card will be sent to my BFF. She deserves it! I follow the MBellished BLog. I would send this card to one of my friends, Julie, who lives several states away! I would love these cards to send to all of my college friends to tell them how much I miss them! I would love to win this because I'd love to send them out as the first pieces of mail to leave our house! And I'd send one to my mother in law as a thank you for helping us buy said house. The first card would be to my college best friend. The second would be to my grandma. I'm following Pure Joy with GFC!